“Must do” exercises do not exist! ‏Let me elaborate on what I mean by that. Anyone who has ever set foot inside a gym will have heard the phrase, “to get huge, you gotta bench, bra,” (in a better gym, people would advise you to squat, but that is a different matter!). So which exercises are absolutely essential to achieve positive results? The answer is, (as is so often the case)…it really does depend! If you have had the misfortune of meeting me, be it in the real or virtual world, you will have come across my mantra which is that there are four things the body can and must do to fully develop: squat, lunge, push and pull. Within that, we are all different. 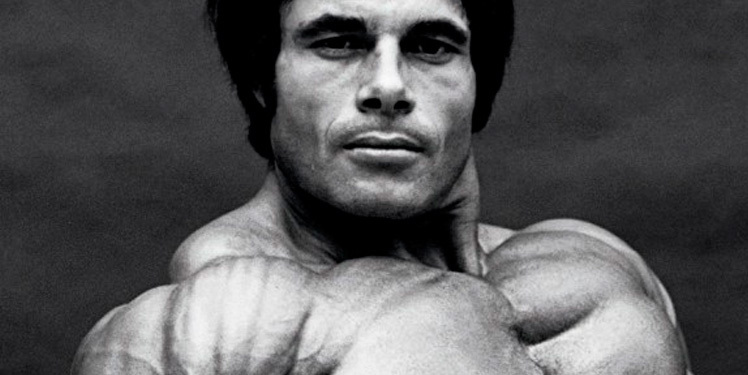 Franco Columbu never felt any gain from decline presses, so he scrapped them. If you look at his picture above, you will see that his chest developed just fine. With regards to my own sorry physique, I worked my way up to a 405 lbs bench (Richard G and Moe K are my witnesses), but I didn’t experience any growth, just plenty of shoulder pain. The reason being that my arms are too long. Once I switched to incline dumbbell work, my chest responded. So in short, you must squat, lunge, push and pull. However, if you feel that an exercise is not benefitting you, scrap it – there are plenty of others that you can do instead! If you cannot come up with an alternative, please feel free to email me for advice. Finally, I’m happy to announce my first article for Muscle and Fitness magazine is out! Have a read of the article here…..